NAVAGO is an online marketplace that offers hundreds of products from over fifty conscious indie beauty brands - and after scanning their brands list, I was only familiar with three of them! I will be sharing a selection of products from six new-to-me natural skin care and wellness brands: Revival Body Care, The Honey Pot Company, Herbal Heart Apothecary, Eco Modern Essentials, Be Biotin and Hip & Chick Organiks, all founded by people who are passionate about creating health-conscious and eco-friendly products. Keep reading to find out how you could win all products featured in this post! Body scrubs are an essential for me when it comes to properly exfoliating my body - loofahs are alright, but I feel like nothing compares to a good sugar and/or salt scrub to slough off dead skin cells when showering. My scrubs of preference so far have been those containing coffee, but I will say they are not so fun when it comes to the mess they leave behind. So when I received this product from Revival Body Care, little did I know I was in for a treat! The founder, Nicole, an active mother of three daughters, developed this vegan line to reflect her love for nature's bounty as well as her passion for leading a healthy lifestyle. These handmade whipped exfoliators are available in a few different scents, and I got the Grapefruit + Mint Natural Body Scrub (US$19.95). When I first opened the packet, I was greeted by a strong yet pleasant aroma of coconut and grapefruit, with just a hint of peppermint. The base of the scrub is made with organic cane sugar and Himalayan sea salt, and it can be used on both the face and body! Not only does this mix stimulate your lymphatic system and help detox your body, but with regular use, you can expect to see a reduction in cellulite, stretch marks and if you are a shaver like me, stubborn ingrown hairs. To get the most out of the scrub, I apply some on my clean skin and rub it all over in circular motions, and then leave it on for about ten minutes to let my skin absorb all of those delightful natural oils and extracts. Once I step out of the shower, my skin is so incredibly smooth and glowy that I don't even reach for my body lotion - out and done! Non-irritating and natural facial wipes can be a tricky thing to find, let alone feminine wipes! Even natural ones have left my face red from stinging right after use. This is where The Honey Pot Company comes in (don't let the name fool you, this brand is actually 100% vegan)! Founder Beatrice, wanting to get off antibiotics to treat unwelcome infections, developed the first plant-based feminine care system on the market, which includes these Normal Feminine Wipes (US$10.99, 30 count). Not only can you use them on your face, but also your body (including down there)! They are gynecologist approved and pH balanced, and made with sustainable rainforest alliance rayon which is free of chlorine, parabens, pesticides, carcinogens and sulfates. One thing is for sure, I wasn't expecting that they would smell this good - super citrusy and fresh! Some key natural extracts include aloe leaf juice, cucumber extract, oat extract, coconut juice, sunflower oil and calendula flower extract. This is also the perfect buddy to have with you on the go - I've been keeping it it my gym bag to freshen up after yoga class! Speaking of yoga, I'm still very much a beginner and that means my body has been taking a bit of a beating, especially my knees which have been bruising quite badly. But I'm not letting that stop me, and the Herbal Heart Apothecary has been coming to the rescue! The brand is run by mother-daughter duo, Heather and Sierra Goldstein, who harvest and infuse their own floral and herbal blends to add to their handmade skin care. My saviour you ask? 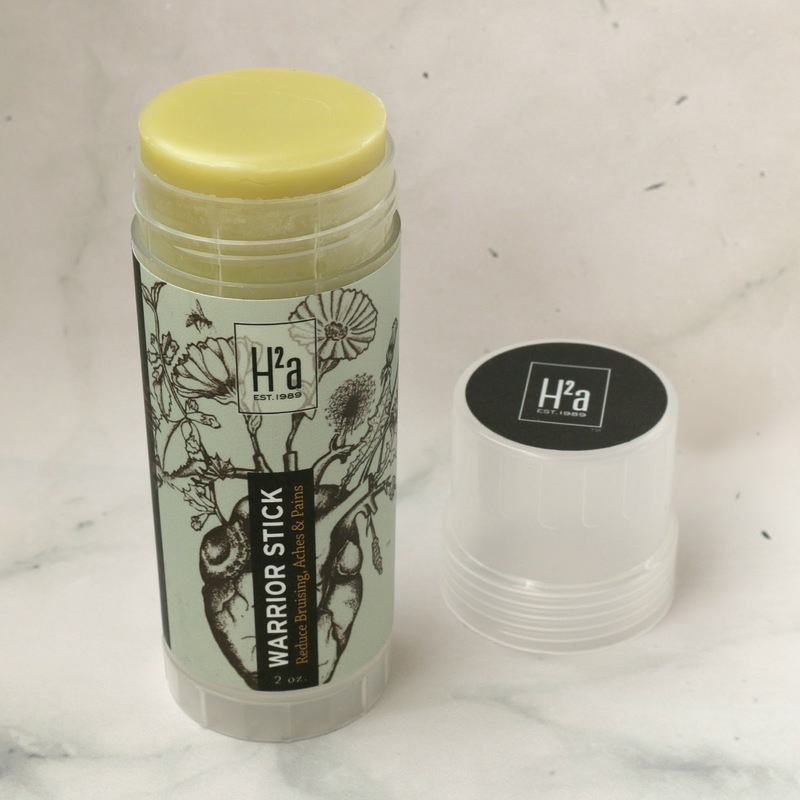 Their Warrior Stick (US$20), a topical balm which works below the skin's surface to relieve bruising, aches and pain. A base of wildcrafted and organic olive oil, bees wax, and vitamin E oil, combined with extracts of arnica, calendula, rosemary, thyme, St. John's Wort, comfrey leaf and slippery elm bark work in unison to heal from the outside in. Entirely sourced from nature means you don't have to worry about any nasties, such as artificial fragrances, parabens or fillers. Simply apply the solid stick directly onto the skin and it will instantly melt on contact. The scent is very invigorating, definitely very herbal and earthy. I feel like this product truly works: my bruises have been fading so much faster since starting use and I've also been applying a thin layer over sore muscles, like my hamstrings and abdominals, to help speed up recovery time after a workout. Since discovering oil blends, I feel like a changed woman! Instead of reaching for spray perfumes, I've been gravitating toward perfume oils, even simply as a pick me up! The thing with topical natural oil blends is that they not only serve the purpose of smelling good, but depending on the extracts included and their properties, they can help relieve specific aches and ailments and even boost your mood! 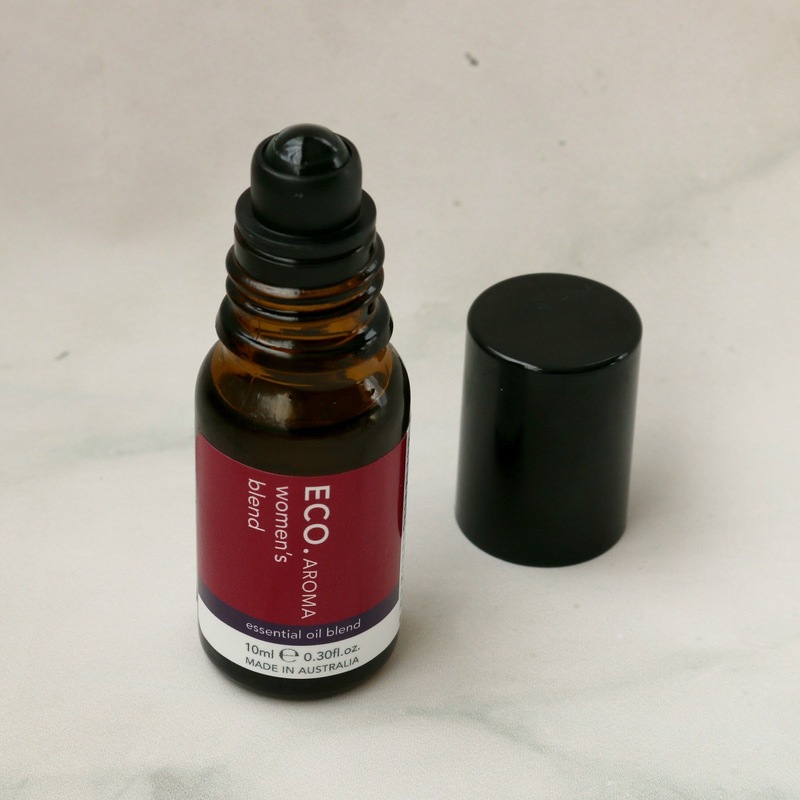 Enter the latest essential oil concoction that has made its way into my life from Australian brand Eco Modern Essentials, the Eco Aroma Women's Blend Essential Oil Roller Ball (US$16.50). Created by Claire Mitchell on the Gold Coast, the simplicity and effectiveness of their products is at the root of the brand's mission. Smelling good and feeling good? I mean what's not to love! This mixture of cedarwood, lavender, geranium and ylang ylang restores calmness and balance to the mind and body, while also helping you focus. I personally enjoy applying it whenever I am feeling stressed or anxious to the inside of my wrists and forehead, but you can also roll it on your temples, the back of your neck and the tops of your feet. Inhaling the rich, floral scent instantly makes me feel grounded and knowing that the brand uses natural and organic ingredients sourced from ethical sources is just the cherry on top. If you've researched ways to grow your hair or strengthen your nails like I have, I'm sure you've come across the very popular B-vitamin called biotin. This coenzyme converts fats, proteins and carbohydrates into energy and can be found in certain foods, such as bananas, mushrooms and avocados. I had never taken a biotin supplement, so I was supper happy to be introduced to Be Biotin. The brand was actually developed by hairstylist Giulia Heiman who wanted to offer a natural solution for hair loss to her clients. 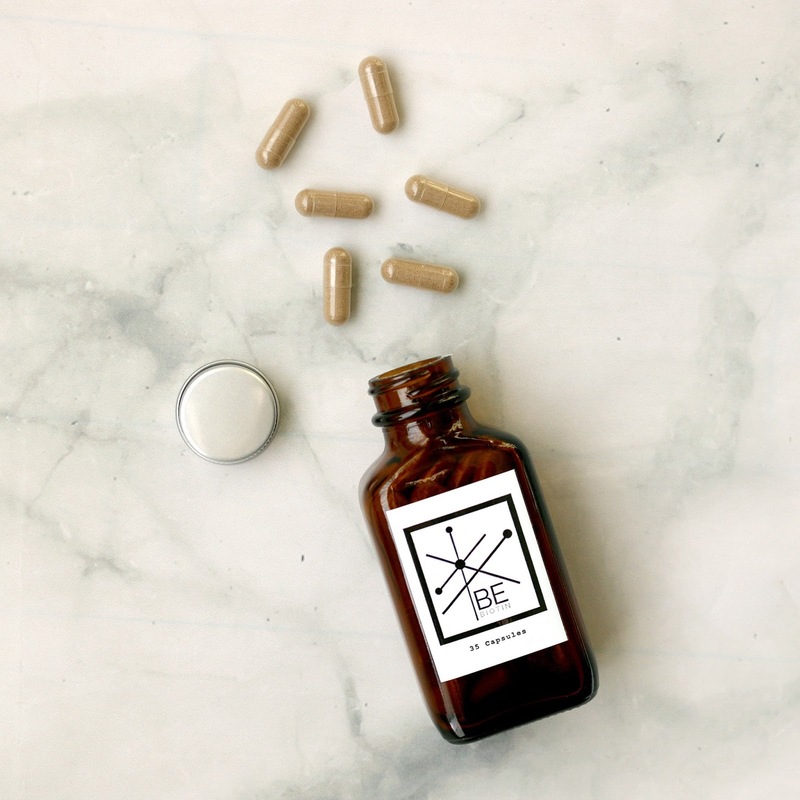 Their biotin hair, skin and nail vitamin supplements (US$32, 35 capsules) also happen to be plant-based, being free of wheat and dairy, as well as unnecessary fillers, dies, artificial colors or preservatives. One capsule contains 5000 mcg of biotin, as well as organic pumpkin seed, organic saw palmetto and pygeum bark (an african tree) powders. These three herbs combined with vitamin B7 (biotin) have been shown to lower DHT levels, the testosterone hormone which has been shown to cause hair loss and thinning as we age. I went through one episode in the past where I lost quite a bit of hair and I wish I had known about this brand back then! Over the years, my hair has become thicker and stronger by following a plant-based diet. As I recently chopped a big chunk of my hair off (from past my belly button to shoulder length), I'm all about getting it to grow long and strong fast, so I've been taking one capsule of Be Biotin daily with my breakfast and I am now about halfway through the bottle, and while it's hard to see a noticeable difference just yet, I have not experienced any negative side effects such as acne, which has been a reason I've held back from trying biotin in the past - I had read reviews where people reported breaking out following use, but after reading about how natural this particular supplement is, my worries were put to rest. I do feel like I've had less overall hair shedding, so that's a good sign! I am counting down the days until the one month mark, which is when one usually sees a noticeable change in hair growth with daily intake of the supplement. I am quite picky when it comes to my candle selection as I am sensitive to overpowering, artificial scents, and good quality natural candles can be hard to come by. I've had my eye on getting a new soy candle for a while, so being introduced to Hip & Chick Organiks couldn't have come at a better time! The brand was created by a tight-knit mother and daughter duo in California and all of their bath, body and home products are handcrafted and made in small batches using the finest (and organic where possible) ingredients. When I saw that the Flower Power Soy Candle's (US$28) scent is described as not being overpowering, I was really crossing my fingers that this was the case - and thankfully the product lives up to its claim! As I am writing this, I am surrounded by a delightful floral and slightly fruity aroma, from a combination of gardenia and pomegranate, burning on the coffee table beside me. Natural soy candles are a great alternative to traditional paraffin wax candles as they are non-toxic and environmentally-friendly, with the added benefit of having a longer burn time. 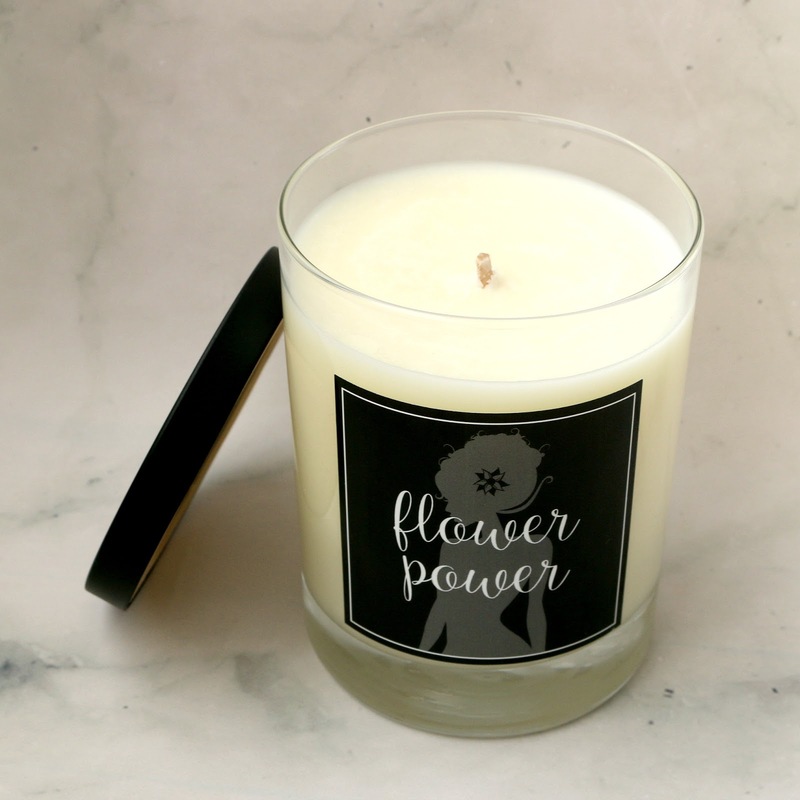 The hand-poured Flower Power Soy Candle comes in a reusable glass jar with a cotton core wick and can burn for 45+ hours, and for its relatively small size, that is very impressive! One lucky reader will win all six natural indie beauty and wellbeing products featured in this post! To enter, simply fill out the Rafflecopter box below. The first entry is mandatory, and once completed, more entries will be unlocked to increase your chances of winning. *This giveaway is open to Canada and US residents only. * Good luck! 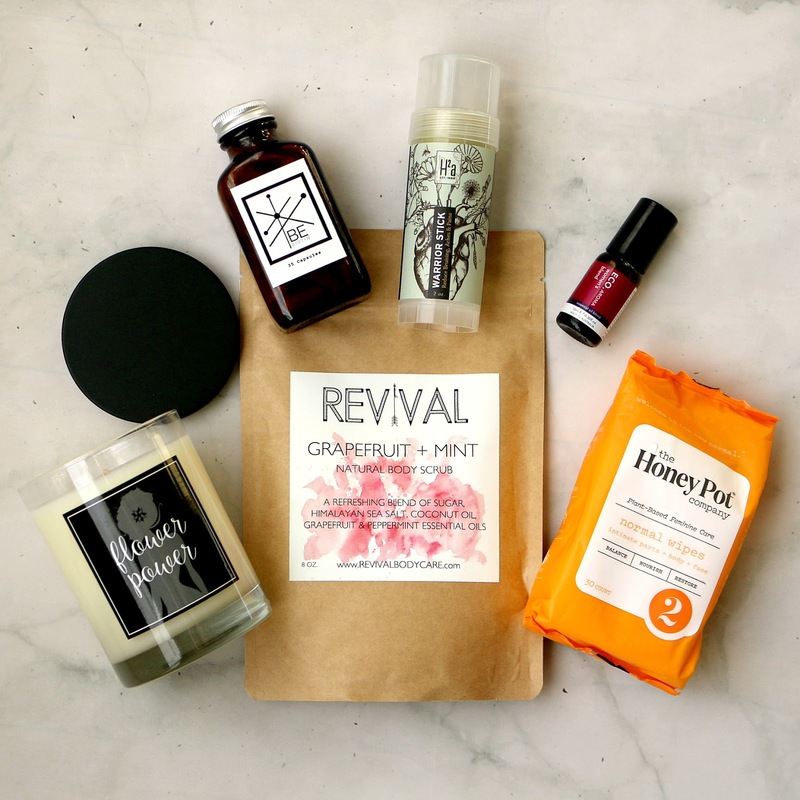 Which of these natural indie products would you like to try? *Disclaimer: This post was sponsored by Navago. Affiliate links are provided. Everything sounds amazing. I need to enter the giveaway! If I won, I'd share with my Nana Jo, who also loves having her skin pampered. She loves those wipes. I have long wondered about products like the Eco Aroma Women's Blend Essential Oil Roller Ball, I have allergies to perfume, although, since these are natural not chemical would I be free to use these scents? I'd love to try this. Also their biotin hair, skin and nail vitamin supplements caught my eye as myself and my son have splitting nails. Hi Gladys, you may be allergic to the synthetic fragrance ingredients and other artificial preservatives and ingredients in traditional perfumes. There is still a chance of having an allergic reaction to perfume oil blends that only have essential oils as one would to foods they are allergic to (i.e. if you are allergic to certain fruits, natural lipsticks pigmented with those fruits may cause an allergic reaction) but I would highly recommend trying that route. Check out Navago's fragrance section as they also feature fragrance and essential oil companies that are very clean! BE Biotin is also vegan so that's a plus! I've been obsessed with natural beauty products and always on a lookout to try something new. This Warrior Balm is calling my name. I really want to try it to relieve my chronic back pain. How amazing do all these natural products sound. I have to admit I would absolutely LOVE to try that candle and well most other things as well. I'd love to try the Herbal Heart Apothecary Warrior Stick to see how it works on bruises. You had me at Grapefruit. I love anything with Grapefruit Scent! I subscribed and look forward to trying some of their products. I am a bath and skin care addict! I just recently started learning about indie beauty brands. I'll definitely give them a try. I'll especially look for the natural brands. I've been transitioning to all natural products since last year. They do a better job at taking care of my skin compared to brands that we're use to seeing in the market. I'm glad you're sharing these! I like how the body scrubs sound. Grapefruit + Mint I bet it smells amazing. I've become a huge fan of oils recently as well. Being somewhat of a "gym warrior" myself, I'd love to give the warrior stick a try for those intense workout sessions! The grapefruit and mint scrub sounds so good, especially that it smells so nice as well. I like everything coconuty. The warrior stick could be great for me, as I always bruise so easily, even if I just bump into a corner. I don't know what it is about balm sticks, but they always do the trick when it comes to aches and pains. The Warrior Stick is interesting. I’d like to try it. I use a lot of natural products, but I have never tried any of these. The oil blends look promising! I would like to try the wipes. I like having wipes on hand. They are quick and easy. Oh my goodness! Just reading the combination of grapefruit and mint as a fragrance made my mouth water! Who doesn't like these aromas? And together, I bet they would smell divine! All of your offers look great. But I particularly like the wipes. They would be great. You can't go wrong with good wipes. I love everything beauty and refreshing. Love this! Grapefruit and mint sounds so good. I would love to try it out on my skin. All of these products sound SO nice! I think I need to try the scrub and the wipes for sure. 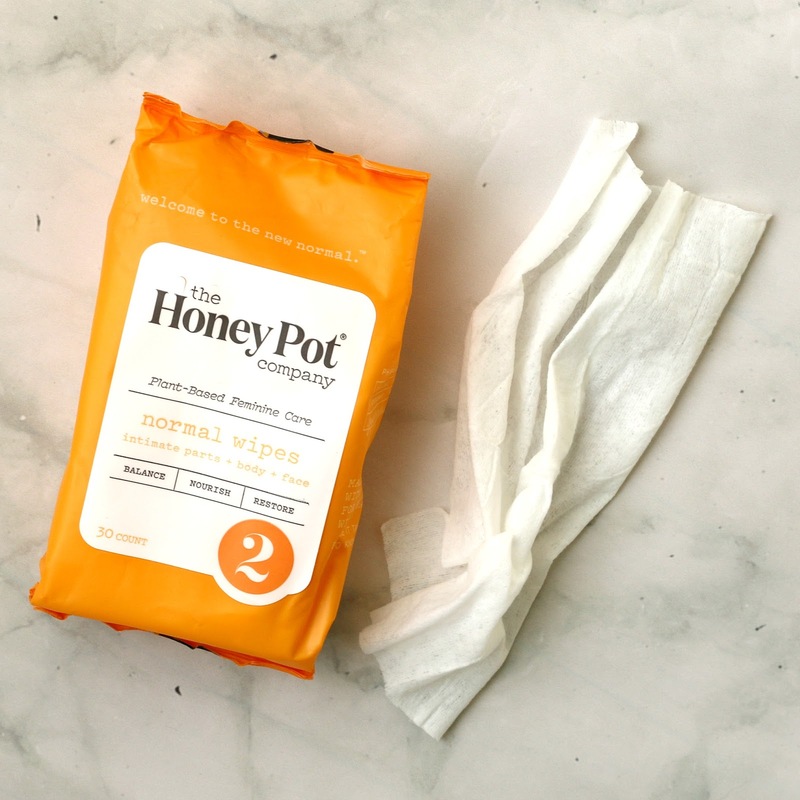 The Honey Pot Non-irritating and natural facial wipes sound very nice, I would really be interested in trying them. I think I'd love to try the natural indie beauty and wellbeing products, especially those with the aroma of coconut, grapefruit, and mint which I love. I love products that can be used all over. Each of products sound like products I would enjoy using. what a great giveaway. Some really nice items. I don't like putting new things on my skin, its very sensitive but the candle appeals to me. I have quite a number of girlfriends that will like these items. They cherish quality products like these. I try to use natural products like these when I can. My skin is so sensitive and I get allergic to things easily. I would like to try the Be Biotin. I have read about this vitamin and many of my co-workers swear that it helps their nails grow. I need to try this for myself. I love using all nautral products. Since i have very sensitive skin this is perfect! This is such a great giveaway. 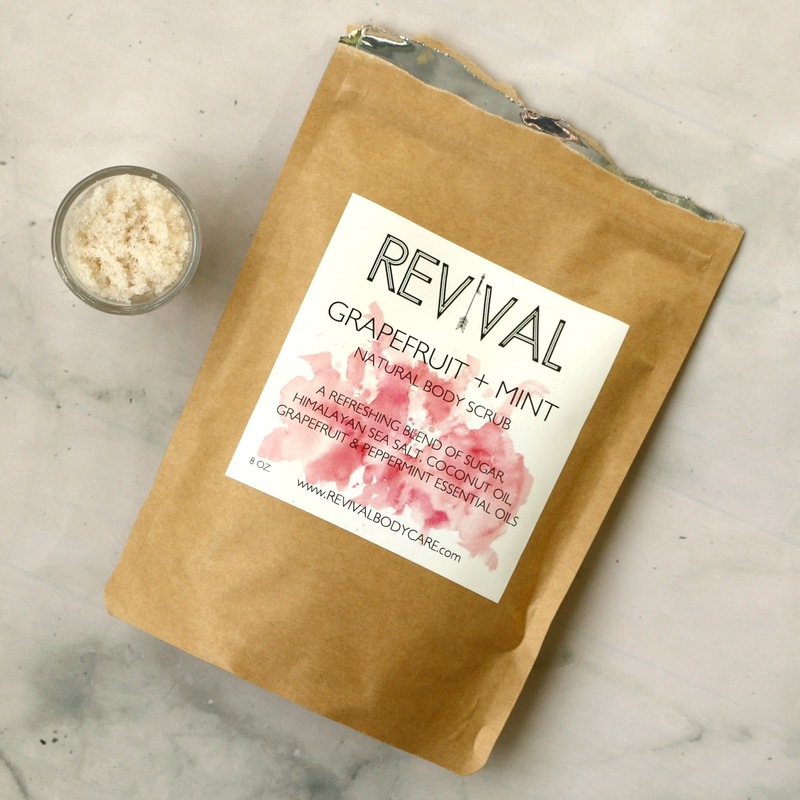 I would most like to try the Revival body scrub. It sounds like it would smell amazing. Oh I really love natural products. So this stuff would be great! I could definitely use all of these products especially the h2a stick! I have aches everywhere sometimes! Natural products are something that I have been looking at here lately. This seems like it is such a great product line! I am actually in the process of revamping all of my products for some that are all natural and better for not only me but the environment. These look like something I will be trying soon. I definitely always recommend perfume oils, they last much longer i my opinion. Thanks for sharing! This was such a great post. I love discovering small brands and natural products. The scrub looks amazing! I love natural beauty products. Would really like to try everything but especially the body scrubs . I would love the flower power soy candle. I love natural products and love all things grapefruit scent! These all sound amazing! I need to try the scrub out soon. Warrior Stick - I have a heavy duty job, and at my age all's I do is bruise....when I had to have emergency surgery I got rid of all my bruises in a few weeks and when I went back to work I sported two the first day back!! They all sound like nice products. I always like to try something new. These all sound like great products. I could use that body scrub right about now. Would like to try the Eco Aroma Women's Blend Essential Oil Roller Ball. I bet it smells so good! I love candles, so I would pick the Flower Power Soy Candle. I like that the scent is not overpowering! From time to time, I would like to light a candle while I am relaxing and watching tv. I am definitely interested to try the candles. These are all awesome, but I’m most excited to try the Herbal Heart Apothecary Warrior Stick topical balm (to relieve bruising, aches and pain)! Wow this is pretty amazing a product! I definitely will be trying it out! I would like to try the candle. Powerful scents are too much for me, so a light natural aroma seems great for me! I would love to try them all, but the scrub really stands out for me. It just seems like it would really get you up and energized in a healthy natural way.